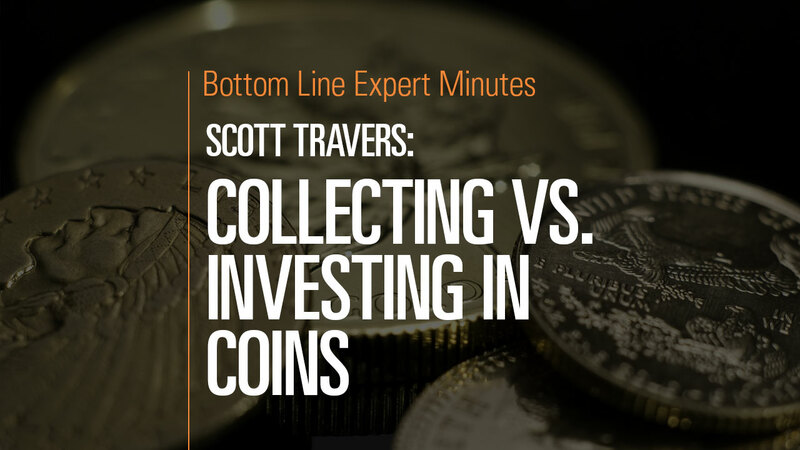 In this video, Scott Travers, gold and rare coin expert and author of The Insider’s Guide to US Coin Values, explains the difference between a bullion coin and a collectible (or numismatic) coin. A bullion coin is one whose value is based solely on the market value of the metal in the coin, while the collectible coin derives its value from the open market, where collectors may pay a premium above the melt value of the metal the coin contains. Ultimately, collecting and investing are not mutually exclusive—even dedicated numismatic collectors are concerned about the future monetary value of their coins.